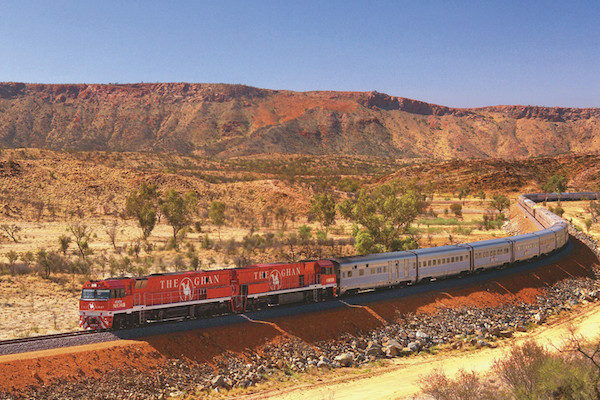 If you are looking for a luxurious and unforgettable ‘off the beaten’ track experience, then this holiday is for you. 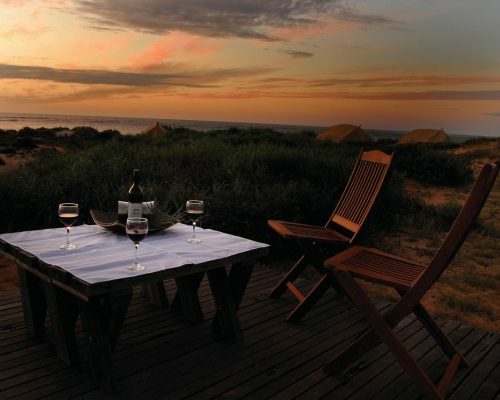 Sleep under the stars in the exclusive eco-luxe wilderness tents of Sal Salis Camp, nestled in the dunes of Cape Range National Park. From here you can explore some of the world’s most breathtaking coral reefs along Australia’s stunning west coast. 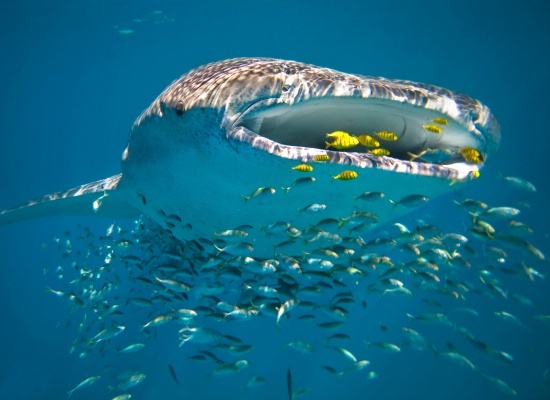 Swim with whale sharks and encounter countless other unique marine species in glorious Ningaloo; the world’s largest fringing reef. Perth – Rottnest Island – Ningaloo Reef. 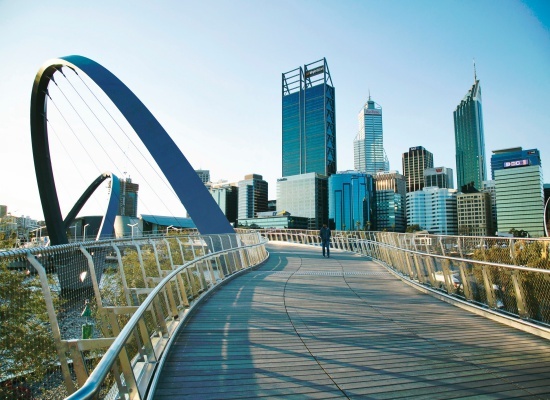 Upon arrival at Perth International Airport, you will be picked up and transferred to your hotel. We have nothing planned for you today, so you can relax and get accustomed to your surroundings. Your centrally located hotel includes complimentary use of bicycles – the best way to explore the city. (Alex Hotel, Large Room incl. breakfast). 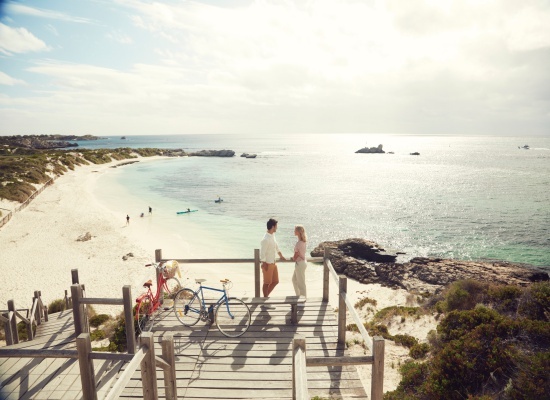 This morning, take a ferry to Rottnest Island, a favourite holiday spot for Perth locals. 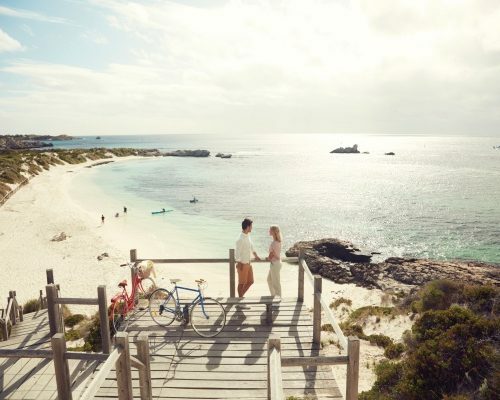 Explore Rottnest at your own pace, by land and by sea. 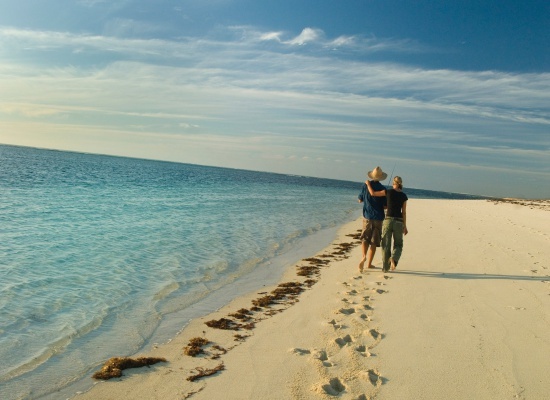 The package comes with a bike so you can ride to the many secluded bays and beaches. An indulgent lunch will be served at the Karma Resort. Fly to Exmouth today. You will be picked up and transferred to the exclusive Sal Salis Ningaloo Reef, a remote, beach-side safari camp nestled in the dunes of Cape Range National Park, on the shores of Ningaloo Reef. With just sixteen eco-luxe wilderness tents you will share this striking location, and one of Australia’s best kept natural secrets, with few others. (Sal Salis, Whale Shark Wilderness Tent Package). Sal Salis offers whale shark swims with select local partners and you can expect an up-close-and-personal view of these gentle giants. Morning tea is usually served as you motor out into the Indian Ocean to begin the search. 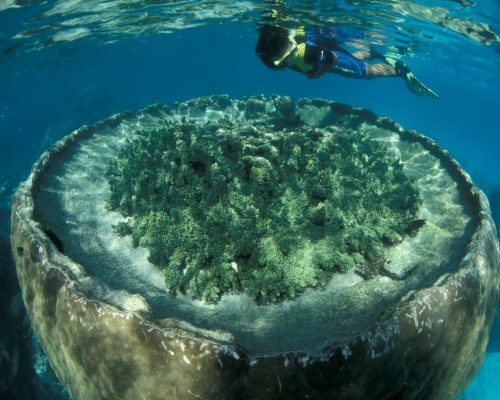 During the course of the day your crew will keep an eye out for turtles, dolphins, dugongs, rays and sea birds and there is usually time for a snorkel at the back of the Reef. 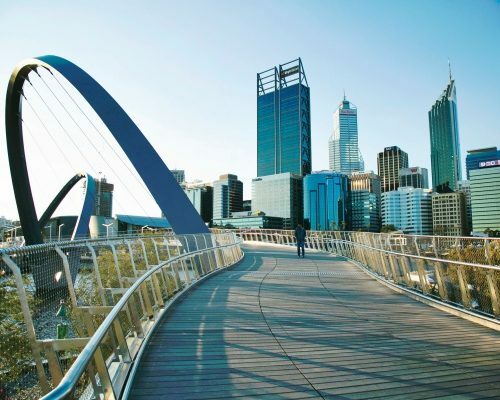 A delicious lunch featuring fresh Western Australian produce is provided (from 1 April – 31 July only). Join the activities at the camp today. 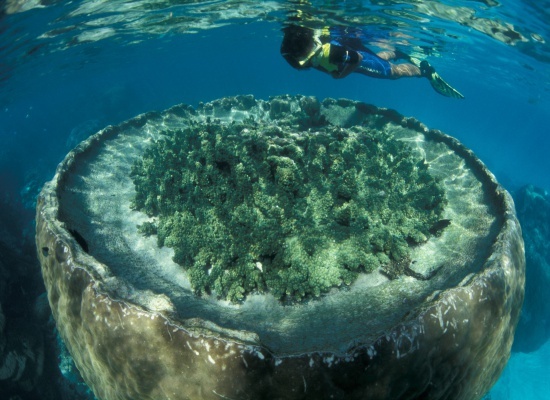 Your package includes unlimited use of snorkel equipment, daily guided wilderness activities, which may include guided snorkels, guided kayak snorkels and gorge walks. 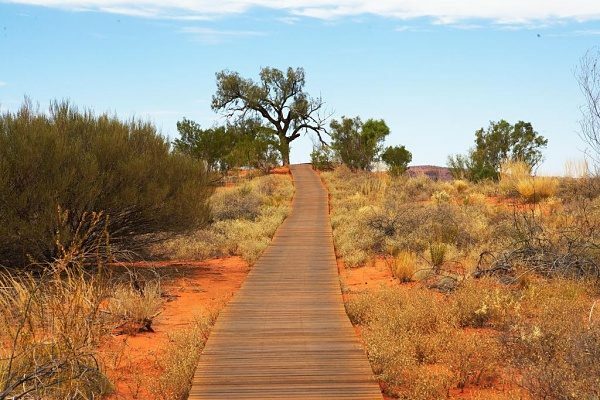 Enjoy your last morning in the outback before it is time to bid farewell. You will be transferred to Exmouth airport. Safe travels! This itinerary costs from £2,995 per person based on 2 sharing and includes all services and accommodation. Flights are not included. The Sal Salis package includes accommodation in a wilderness tent with eco-friendly en suite bathroom, all meals & beverages from a select open bar, unlimited use of snorkel equipment, daily guided wilderness activities, which may include guided snorkels, guided kayak snorkels and gorge walks, National Park fees and permits, as well as a whale shark swim experience, with transfers and lunch. Please note that Sal Salis is closed from 01 November to mid March, we cannot offer that portion of the itinerary during this period.